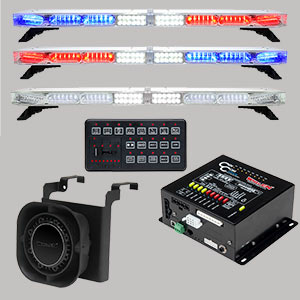 Count on Whelen, the leaders in electronic siren warning, to design an integrated siren and light control system that puts state-of-the-art performance in a package that's easily configured to your exact needs. When technology takes a step up, so do the engineers at Whelen Engineering Company! CenCom Sapphire delivers what you’ve been asking for in a sleek, new, tougher, more advanced design. 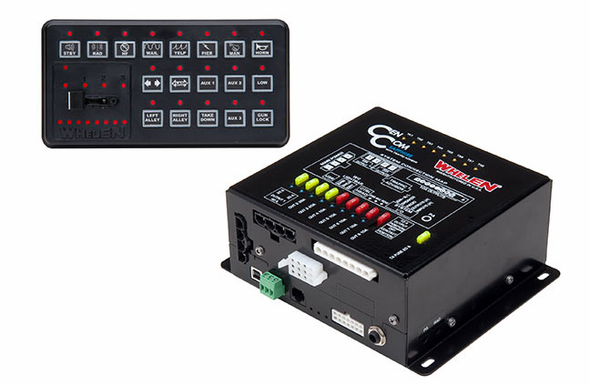 CenCom Sapphire adds an integrated WeCan® serial port for connecting your Whelen WeCan series lightbar directly to the Amplifier Control Module. No more bulky wires and secondary boxes to contend with. Just plug in and go! Control your warning lights, siren and Traffic Advisor™ functions from a single keypad. CCSRN3: operates Whelen 2-wire Traffic Advisors that do not require external controls. 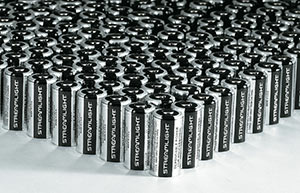 Solid-state outputs: one 40-Amp, two 20-Amp, four 10-Amp, and four 250 milliAmp. Relay output: one 10-Amp Dry Contact Relay. Lightbar: 1 Phoenix style connector for a WeCan series lightbar. Inputs: four positive or ground activated inputs, including a horn ring input. Easy to configure using the included CenCom Sapphire Windows application. Configured programs may be extracted, modified and stored for ease of service and reuse. A USB port on the Amplifier Control Module provides easy access for programming. The control head need not be connected for programming. Easy to operate standard control head with bail bracket mount and 4-position slide switch, 18 programmable, backlit rubber push-buttons which allow for simple warning light and "Hands-Free" siren operation. Each button is individually customizable for numerous button types (Press on/Press off, momentary, etc). 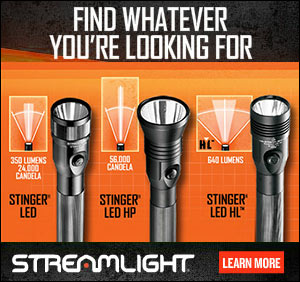 Control head backlighting can be easily turned on or off for high visibility on patrol or blacked out for discrete night operations. Brightly backlighted push-buttons include over 230 standard function labels to choose from. 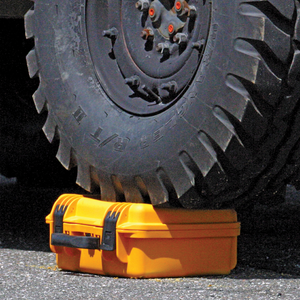 Rugged, aluminum-housed Amplifier Control Module is field-serviceable with easy access to fuses and connections. Operates one or two 100-Watt siren speakers. Unidirectional Public Address microphone with plug-in connector and 20’ microphone cabe are included. Includes all pigtails and connectors. Rugged CAT-5 cable connects the control head to the Amplifier Control Module. 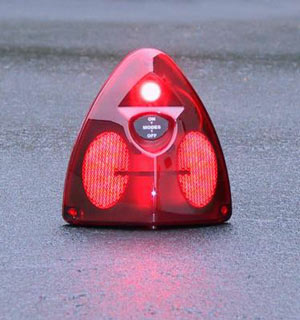 Meets or exceeds all applicable SAE, California Title XIII and NFPA requirements with various Whelen speakers. Main Input Current.................80 Amps Max. Wail........................................725 to 1600 Hz 12 cycles/min. Yelp........................................725 to 1600 Hz 180 cycles/min. Piercer...................................725 to 1600 Hz 800 cycles/min. Hi/Low....................................550 to 650 Hz 60 cycles/min. Note: Total of Outlets 1, 2, 3 to exceed 50 Amps. Note: Total of Outlets 4 - 8 not to exceed 50 Amps.